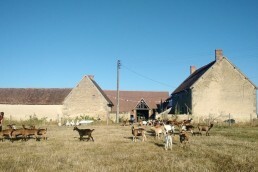 Les 13 blés is a GoatFarm connected to a Cheese Factory very close to the centre of France. It is run by the amazing Justine Floquet. Now, we hear what you’re thinking: “Why is is there a rural farm in a series on how to become an urban or vertical farming?”. The answer is simple though. Justine is facing very similar challenges as urban farmers. Moreover, she and her sisters have found an amazingly clever way on how to overcome those. Justine found a way to be small-scale, organic and in love with everything happening on her farm. 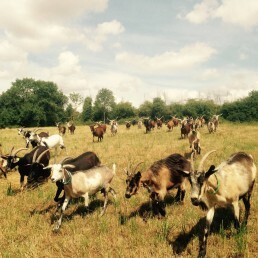 She’s herding 80 goats, many other animals and grows some crops. Next to that she’s running a cheese factory together with her sisters. 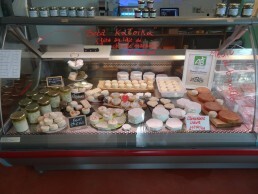 And to finish it off, they’re also running a shop where they sell their cheese, produce and a lot of other local products. The 12 steps team stayed for a couple of days in Loye-Sur-Arnon, the idyllic town in the middle of France. 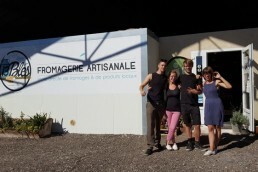 We were able to enjoy the famous French hospitality and did an amazing interview with Justine. This is an amazingly inspiring story where every aspiring farmer needs to see. So learn about the 12 steps Justine undertook to transform her vision into reality.